You may have heard of the angel food cake (light eggless version of chiffon) but have you seen angel cake with wings before? This is one of the creation at another patisserie located in the serene neighborhood of Naka-Meguro. Opened in 2006, this shop is similar to Le Pommier in Kagurazaka as it is also run by a French Patissier Chef Jerome Quesnel. He has several accolades under his belt and trained under renowned brands such as Pierre Herme, Laduree etc. While there is an emphasis on classic French techniques in his works, I admire the way he pushed the boundaries by presenting them in an interesting way that grabs the attention of customers. But he is not alone. 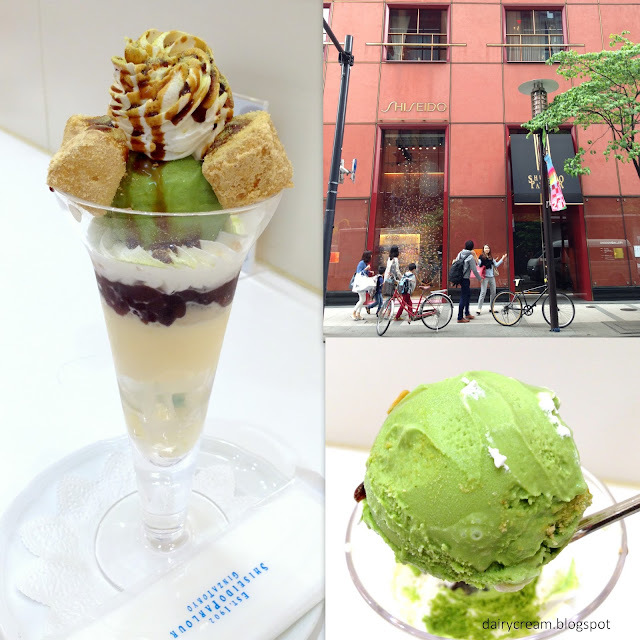 This shop is also a collaboration with Japanese Chef Kabasawa Takano. Both them have garnered a loyal group of fans and the signature item reported widely in media is the choux square cream bun. Returning back to the cakes, Angelo did not send my flying in delight with its vanilla-strawberry mousse and sponge base. The taste was meek and the strawberry chocolate nuts coating could be sturdier. Fortunately, the problem did not appear in Brasil, which had a similar chocolate coating structure like Angelo. In fact, this was one of my favourites despite the use of bananas. A rich dark layer of silky chocolate mousse sat below the sweet banana compote whose temperamental character was under controlled by the chef. This wasn't the most elaborate chocolate creation by Chef Jerome but everything fell in the right place. During it's special appearance at the weekly sweets fair at Ginza Mitsubishi depato, Chef Jerome came up with a Pineapple Verrine. I must confessed I tried it because I was curious to know if there was anything hidden within the mousse tower. However, it was simply a milky panna cotta with some tart pineapple gelee; good but not outstanding compared to his other works like the Mac Tiramisu below. I haven't had a chance to visit his main shop at Naka-Meguro. Yet I know I will, having browsed through pictures of much more sophisticated cakes online. As a self-confessed TV food show addict who counts Gordon Ramsay's shows as those that would stop me from switching to another channel, I saw how he yelled at the contestants in the F Word and Hell’s Kitchen. At the same time, I also remembered how he boldly embarked on an exotic food adventure to the unexplored territories of North East India like Guwahati and Majuli Island in Gordon's Great Escape, attempting to impress the locals with his curry after mixing with the community for a few days. But don't get me wrong. I am neither a die-hard fan nor a critic of this celebrity chef. More than his TV persona, I have been very curious about the flavours and textures of his dishes. Hence, I was very excited to learn that Chef Ramsay has finally opened his third restaurant in Asia right at the premium Marina Bay Sands. This comes after his first restaurant at Conrad Tokyo in 2005 and Bread Street Kitchen & Bar in Hong Kong last year. Designed to fit to the brand's East London industrial roots, Bread Street Kitchen offers a truly relaxing dining experience without the rigid pressures of fine-dining. But perhaps cutting straight to the chase, I must confess that the dishes were very impressive, right from the starters to the desserts. Something NEW? Yes! 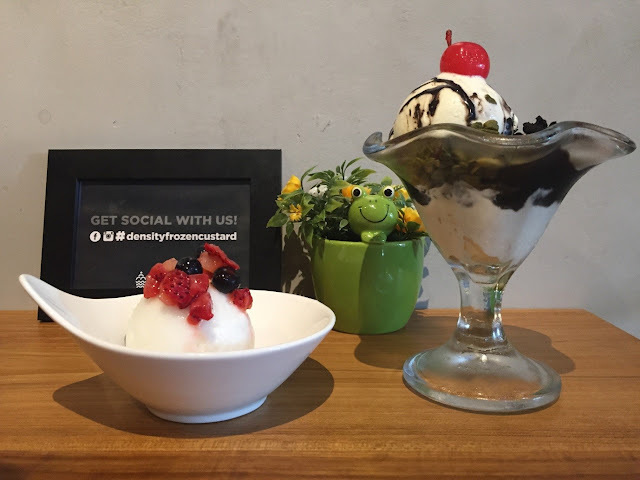 Check out this frozen novelty treat (a 100-year-old traditional super-premium ice-cream from the U.S.A.) now available at Density Frozen Custard Store, situated right beside the famous Rochor tau huay. Density is operated by a Singaporean brother-sister team – J.R. Wong and younger sister, Sherlyn Wong. Taking pride in serving the freshest ice-cream possible, the siblings have invested in a made on-site system, enabling the smoothest and freshest ice-cream to be served daily. In case you haven’t tasted frozen custard before, it is like a premium form of ice-cream but made with eggs, cream and sugar. To qualify as frozen custard, it must contain at least 1.4% of egg yolk - the nutritious egg yolk is a natural stabiliser, used in place of gelatin and other artificial stabilisers, to support the structure and maintain the shape of the ice-cream. Frozen Custard also contains less air content (since it is churned fresh on-site with a continuous freezer instead of the batch freezer used for other ice-creams such as gelatos) so as to achieve a velvety texture and tastes denser than usual ice-cream. Sensodyne Singapore Tea Party: Lady M, Alfero Gelato, Udders & More! 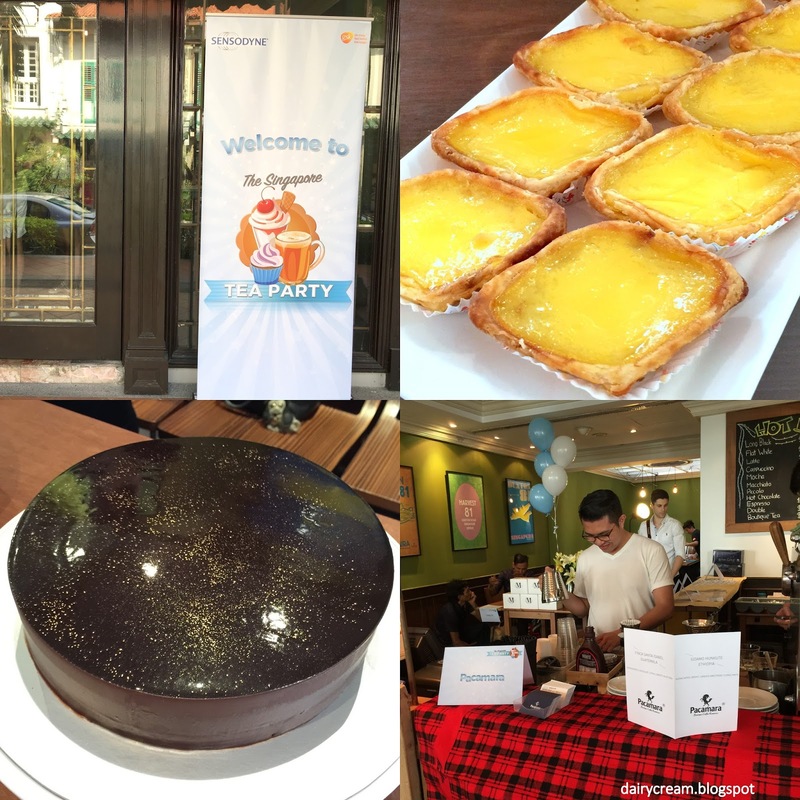 Sensodyne Singapore held its first Singapore Tea Party where twenty lucky winners, who voted for their favourite desserts from the list put together by local top bloggers misstamchiak and sgfoodonfoot, were treated to a scrumptious dessert feast. Here are some of the snippets that day. Voted as the most popular dessert that evening, Udders transported a slice of America into the party by serving their Udderlicious Sundaes and ice cream shooters of unique Flavours such as Thai Ice Milk Tea. The usual tower-sized sundaes were condensed into Verrine cups; a thoughtful move so that we can try more. The multi-textural contrast of an decadent sundae was well taken care of, but the alarming sweetness made this not everyone's cup of sugar. Moving next to Lady M's counter, I was disappointed initially when the strawberry shortcake was nowhere in sight. However, that feeling soon dissipated as I found myself in the good hands of three other amazing desserts. I have heard mixed reviews about the food and sore complaints about the services but shuffling that aside, the Signature Mille Crepe was truly a cake to behold. Twenty paper-thin layer slathered with vanilla pastry cream in between and stroked with caramel glaze for a glossy protectant from dryness. The milky cream is exceptionally luscious and velvety, yet there was no single moment when I felt jaded. A litmus test (for me) of how well a Mont Blanc cake is whether one can finish the entire cake by oneself. And this gateau au marron passed the test as the chestnut paste was not too dense. Yes, it was undeniably sweet but at least not as much as Angelina's Mont Blanc. My eyes lit up instantly when I saw Lady M's Gateau Au Chocolat as the ganache glaze is so glossy it could reflect light. Folded with crushed walnuts into a tremendously deep and dark chocolate mousse and finished with golden dust, this cake will win the hearts of chocolate lovers though the price tag of $9 is not cheap. 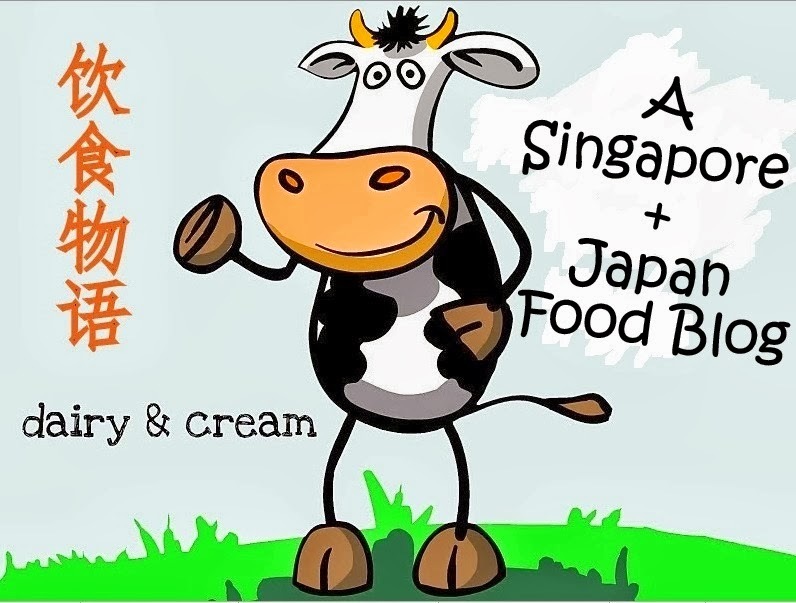 For the Asian desserts, there is Jin Jin Desserts, No Name Cheng Teng and Tong Heng Egg Tarts. 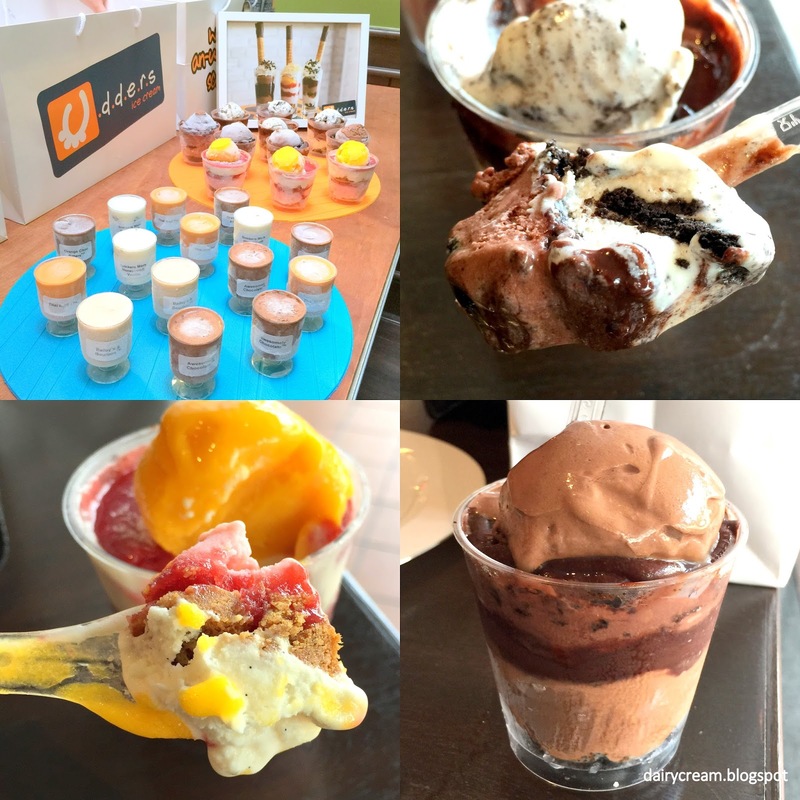 Thanks to the event, I finally got to try the widely raved Alfero Artisan Gelato! The low-fat Italian gelato here are outstanding rich, smooth, intense and satisfying. Moreover, it doesn't go overboard with sugar. Popular flavors like Pistachio and Salted Caramel are not to missed, but the Mixed Nuts and Chocolate are no less delicious as well. Perfect for the muggy heat in Singapore. At the end of the event, participants also walked away happily with goodie bags of Sensodyne products. With Sensodyne's special toothbrush and toothpaste set, I'm sure none of them will have any toothache from the sugar effect! Emma, Martha, Annie, Elizabeth. What do they have in common? Well, these are the names of the "Juicy Lucy" style burgers of Jack the Ripper. Located in the same food court as many other non-conventional stalls such as Immanuel French Kitchen, Two Wings and In the Brickyard, this burger joint is run by the same team behind another same-location German sausage house Stew Kuche. In addition, being are the brainchild of Absinthe's Executive chef Nicolas Reynard, you know that these dangerously delicious burgers possess something different already. The 7 choices of burgers (6 beef and 1 chicken) might not seem many, but each man-sized is specially crafted to appease even the most finnicky palates. All the beef options share the same fundamental "Juicy Lucy" recipe for the patties, only to be distinguished from each other with variated toppings ranging from Crispy Bacon to Spicy Guacamole. Pardon the mess of this close up shot as the it is simply too juicy and flavourful. Let me introduce Ms Elizabeth, a combination of 150g "Juicy Lucy Style" Aussie WAGYU BEEF Pattie oozing with CHEESE on romaine lettuce, tomatoes and Sweet ONION Relish in between two freshly toasted Golden Brioches, which are thick enough to absorb the juices underneath the fragrant crust. The beef patties are served rosy pink on the insides and just perfectly seasoned, making them easy to conquer without triggering any fatigue. Within six months after the last time I tried Chef Yamashita's cakes in December 2014, I was delighted to find some new creations on display during a meetup with my matcha comrade Shirley @ littlemissbento. His strive for innovation is truly a move to applause as most pastry shops in Singapore do not change the items since day one. Not that it is a bad thing but it is always a wise strategy to have a mixture of new and classics items in order to stay competitive. We thought we went to the wrong place as we could not spot any signboard that says 881 XO Fish Head Bee Hoon. Instead we saw XO crab bee hoon. Nonetheless, we did a double check with the menu and unit number. Yes, this is the correct eatery located besides the Original Gui Ling Gao Shop diagonally opposite Boon Tong Kee Chicken Rice. A hot 36 degrees late Sunday afternoon see more empty tables than customers but it means quick service. A super quick one. Our sambal potato leaves ($8) arrived in less than 6-8 min after ordering. A dark plate of green that looked potentially "young" (not those old and chewy) turned out only mildly spiced. Roti prata with Marsala prawns? Nope, this is Camerones al Diablo ($23), a classic Mexican appetizer of sauteed prawns in bright red sauce made of chilli, capsicum, ginger and lime served at Cafe Iguana. Located along the idyllic Clarke Quay River since 2000, this restaurant (not any hipster cafe) is opened by an American and a Chilean who felt that there was a lack of good authentic Mexican food at happy hour prices. With a good selection of Mexican special cocktails and Margaritas, it is not surprising to see that business is booming even on a Tuesday night. Snacking can be a healthy affair if we picked the right type of snack at the right amount. Instead of grabbing for potato chips, why not try the all-new soy crisps from Garden Picks? Available in four assorted flavours, I first tried the lighter coloured Honey Mustard, which had a smoky allure, though a tad salty for me. The Sweet Lime Chilli takes on a bright red coating but it is not too fiery, with a refreshing acidity from the lime juice powder. But I knew straightaway both soy crisps are good when I could not stop eating it. So I am glad they come in friendly zip-lock bags to prolong its freshness for other days. Do you know that Shiseido isn't just a cosmetic brand but also a full fledged restaurant in Tokyo? It started serving western fusion dishes such as croquette and omelette rice since it opened its doors in 1902, which is even much older than the famous Taimeiken in Nihonbashi. 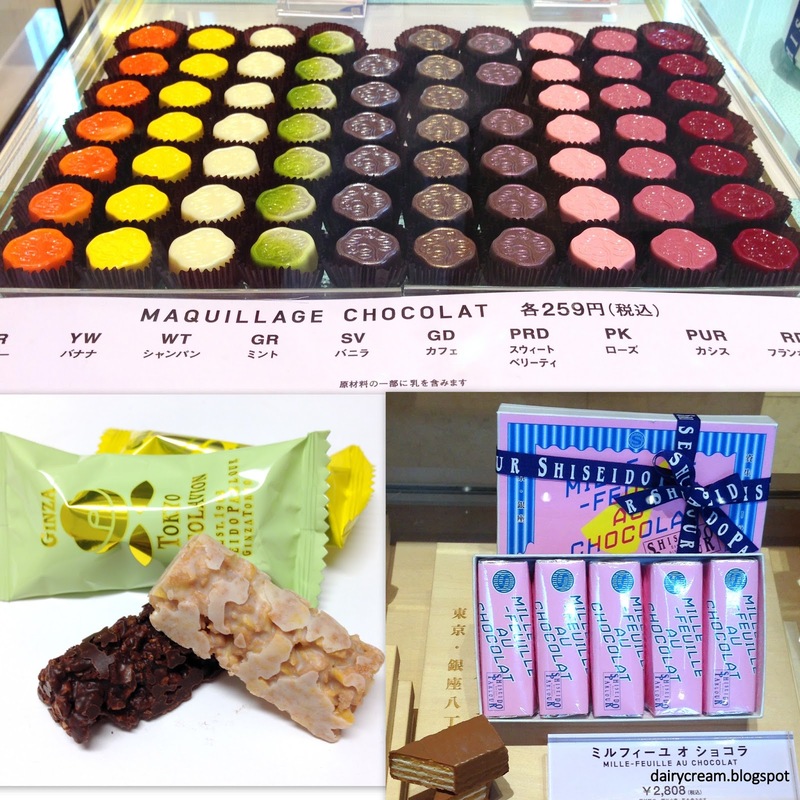 Maquillage: Not your make-up base but edible chocolate...even more attractive than macarons! Occupying one entire building in the premium streets of Ginza, each floor is dedicated to a specific concept, for instance 1F is the retail space for souvenirs and petit entremets while 4/5F are reserved for fine-dining guests. Nope, of course I did not have the time and money to travel all the way to Ginza. Fortunately, the only pastry boutique is opened in Isetan Shinjuku and I would usually take a look to see if there is any interesting items. 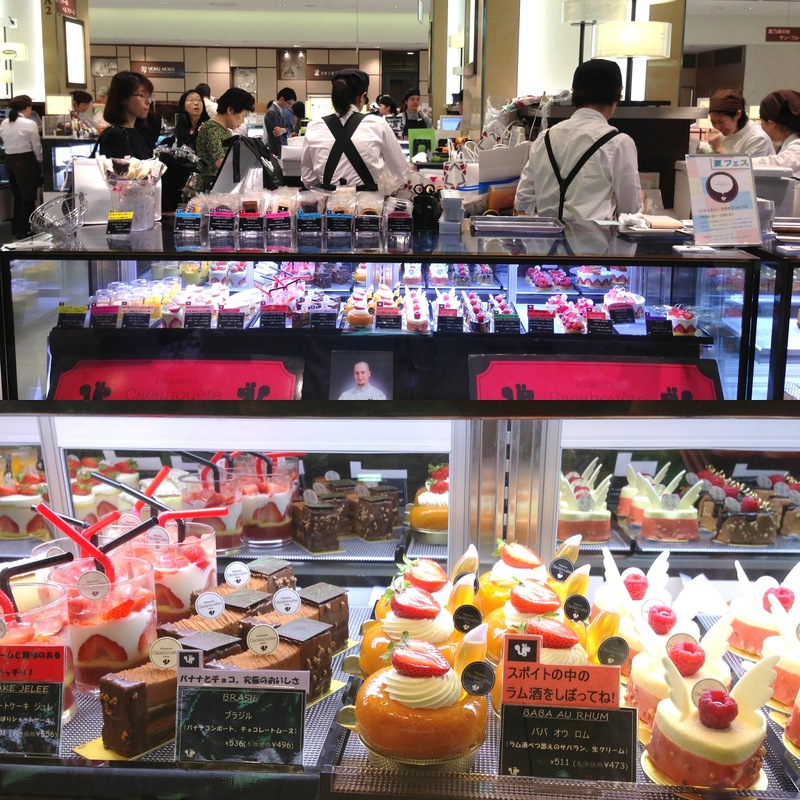 On a random visit, the shop was retailing two award-winning cakes produced by its young in-house chefs at the 2013 Japan Cake Show Contest Petit Gateau Section. SG50 is probably the most important holiday on our national calendar this year. And as befitting for such an important festival, it's time to go "loco" over lobsters with Singapore's FIRST local Lobsterfest at Lime at PARKROYAL on Pickering. From every Wednesday till 30 Dec 2015, you can tuck into mouthwatering Maine Lobsters in various styles ranging from lobster gratin to Peranakan Nyonya LOBSTER laksa! Led by Executive Chef Vijay, the team will whip up more than 8 different kinds of lobsters starting from the Maine Lobster Tower on Ice, a magnificent ice building loaded with fresh steamed lobsters, stealing the limelight away from the oysters and sashimi.